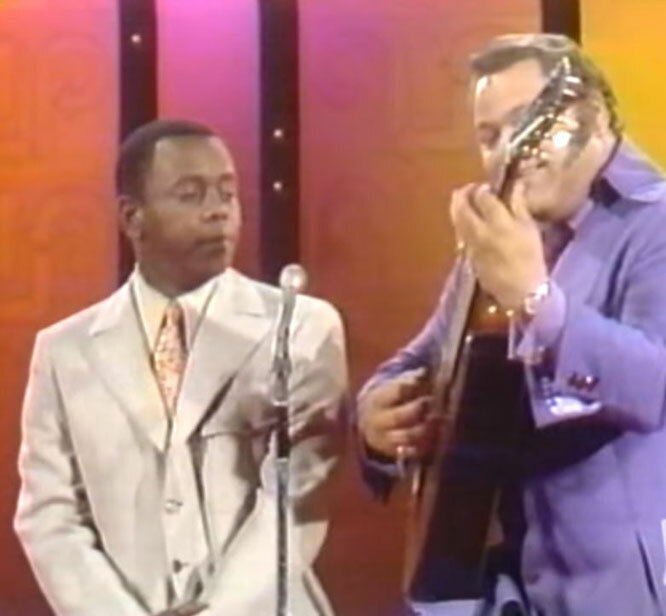 Flip Wilson Ans Roy Clark performs " Medley Of Country Songs"
In 1970 Wilson's variety series, The Flip Wilson Show, debuted on NBC. He performed in comedy sketches and played host to many African-American entertainers, including the Supremes, the Jackson Five, the Temptations, Gladys Knight & the Pips, comedian Redd Foxx, and basketball player Bill Russell. He greeted all his guests with the "Flip Wilson Handshake,": four hand slaps, two elbow bumps finishing with two hip-bumps. George Carlin was one of the show's writers, and Carlin also made frequent appearances on the show, as the two would expand Carlin's news-weather-sports satire. Wilson's characters included Reverend Leroy, materialistic pastor of the "Church of What’s Happening Now," and his most popular character, Geraldine Jones, who frequently referred to her unseen boyfriend, "Killer," and whose lines "The devil made me do it" as well as "What you see is what you get" became national catchphrases. 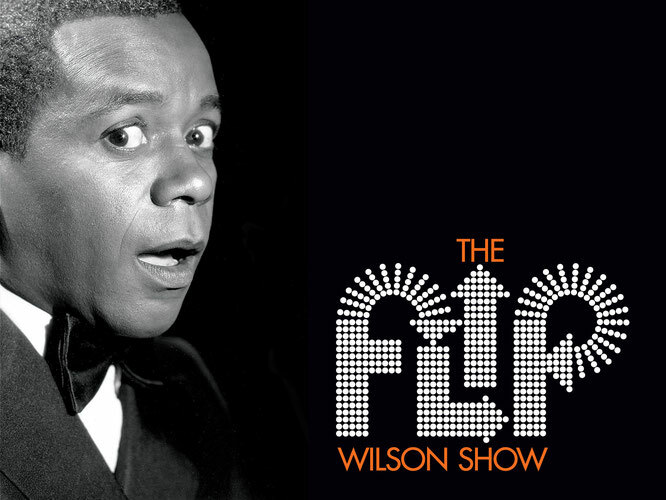 The Flip Wilson Show aired through 1974, generating high ratings and popularity among viewers and winning strong critical acclaim, with eleven Emmy Award nominations during its run, winning two. Wilson also won a Golden Globe Award for Best Actor in a Television Series.